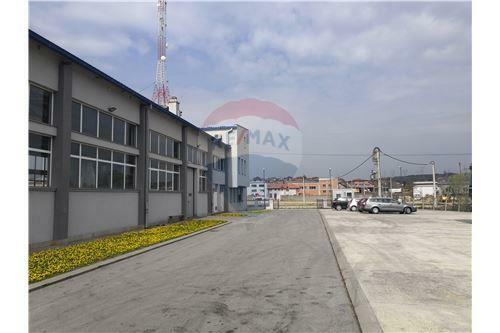 We are able to offer you a business production facility with a total area of ​​1421 square meters. 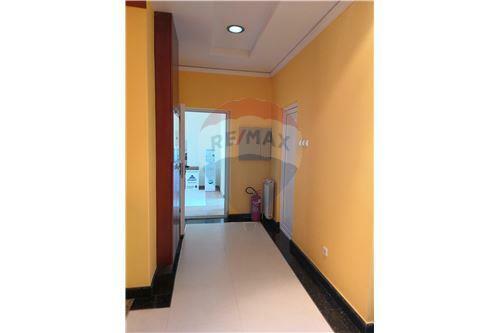 The real estate consists of office space of 573 sqm and production part - hall, 834 sqm. Real estate was built with consent - construction as well as permission of the Ministry of Internal Affairs for performing activities in the sense of the Fire Protection Act. Installed furnace on gas and oil, central unit. The real estate is situated on the border between Boleč, Vinča, and Leštane. It was built on a plot of the total area of ​​44a. The plot is fenced and in the proper shape. It has a parking space of about 1,000 sqm while it is at the entrance of the portico. Within the facility, there is also a separate substation owned by the seller, a power of 250 KW, while a group of 100 kW power is installed. Water is provided through the artesian well (technical water). As part of the real estate, there is a tank for liquid fuel, volume 20t. Provided with video surveillance, floodlights. The office space consists of PR + I + PTK. Aluminum joinery, oak parquet 1st class, interior joinery made of quality wood, air-conditioned with external air conditioning system. 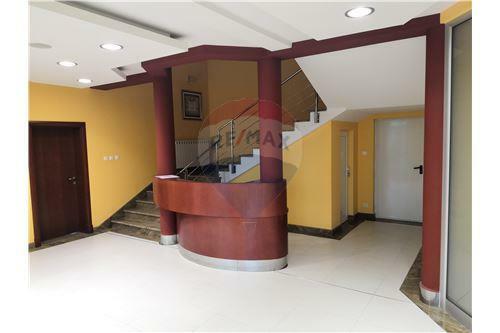 The ground floor is 186 sqm, and it consists of a reception hall, two offices, two toilets, kitchen, several auxiliary rooms, several rooms for staff and a boiler room. 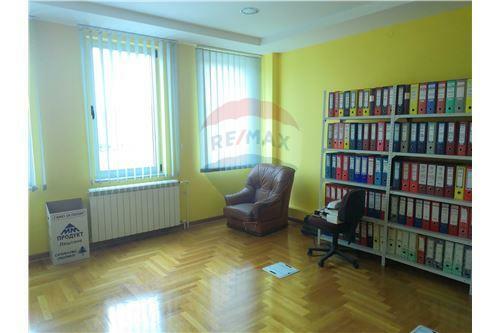 The floor area is 243 sqm and consists of several offices as well as a separate part made of professionally equipped and a new kitchen for preparing food and work for dining (restaurant). The loft is 144 sqm. It is currently equipped as a music studio (deaf room), but it is possible to change the purpose. There is a beautifully furnished living space - an apartment consisting of a living room, a bedroom, a bathroom, and a kitchen. The production part consists of a hall of 834 square meters, height 6m, halogen artificial light, additional electric heating installed. Three entrances, the first 3x4m, the other 6x4m, and the lateral 2x3m). Within the hall, there is a separate room with a plant for the production of biodiesel. 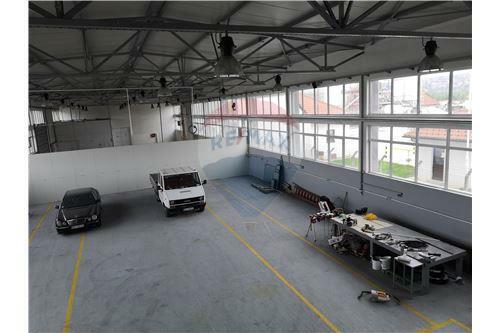 We are able to offer you a business production facility with a total area of ​​1421 square meters. 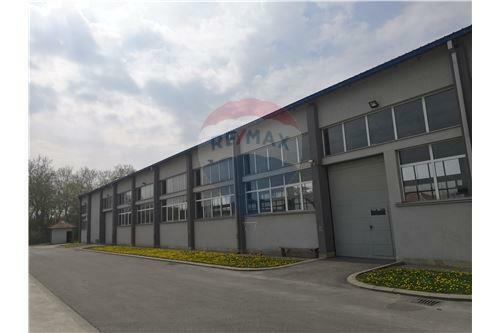 The real estate consists of office space of 573 sqm and production part - hall, 834 sqm. Real estate was built with consent - construction as well as permission of the Ministry of Internal Affairs for performing activities in the sense of the Fire Protection Act. Installed furnace on gas and oil, central unit. Description of real estate: The real estate is situated on the border between Boleč, Vinča, and Leštane. It was built on a plot of the total area of ​​44a. The plot is fenced and in the proper shape. It has a parking space of about 1,000 sqm while it is at the entrance of the portico. Within the facility, there is also a separate substation owned by the seller, a power of 250 KW, while a group of 100 kW power is installed. Water is provided through the artesian well (technical water). As part of the real estate, there is a tank for liquid fuel, volume 20t. Provided with video surveillance, floodlights. Description of office space: The office space consists of PR + I + PTK. Aluminum joinery, oak parquet 1st class, interior joinery made of quality wood, air-conditioned with external air conditioning system. 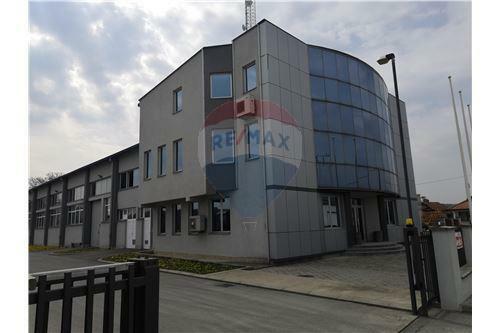 The ground floor is 186 sqm, and it consists of a reception hall, two offices, two toilets, kitchen, several auxiliary rooms, several rooms for staff and a boiler room. 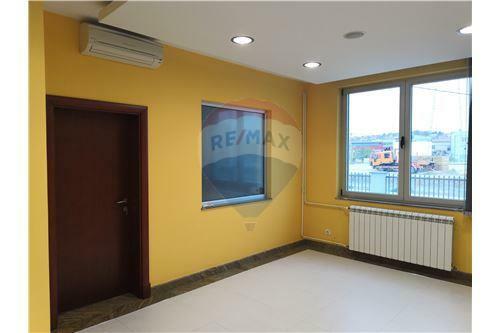 The floor area is 243 sqm and consists of several offices as well as a separate part made of professionally equipped and a new kitchen for preparing food and work for dining (restaurant). 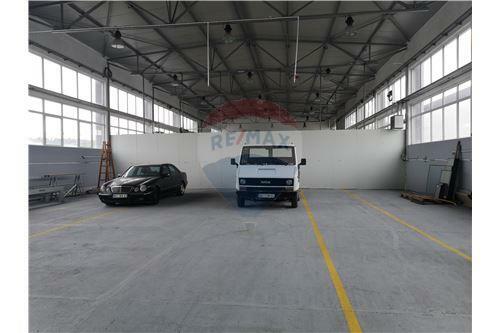 The loft is 144 sqm. It is currently equipped as a music studio (deaf room), but it is possible to change the purpose. There is a beautifully furnished living space - an apartment consisting of a living room, a bedroom, a bathroom, and a kitchen. 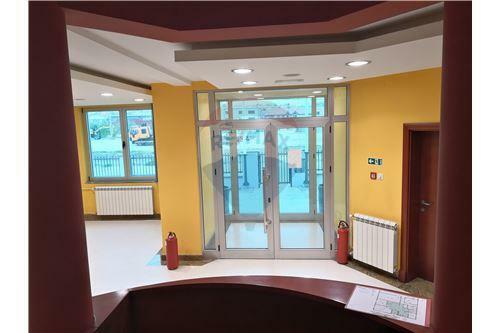 Product description: The production part consists of a hall of 834 square meters, height 6m, halogen artificial light, additional electric heating installed. Three entrances, the first 3x4m, the other 6x4m, and the lateral 2x3m). Within the hall, there is a separate room with a plant for the production of biodiesel.